Last year I blogged (Reuse, Reduce, Recycle. Every day.) about how I could do better recycling in my own household. I am happy to say that I implemented nearly all of the action items I identified last year. I still believe that everyone, doing their small part, can truly make a difference and help save our environment. I am very pleased to know that my recycling mentality has rubbed off on my son, Ben. 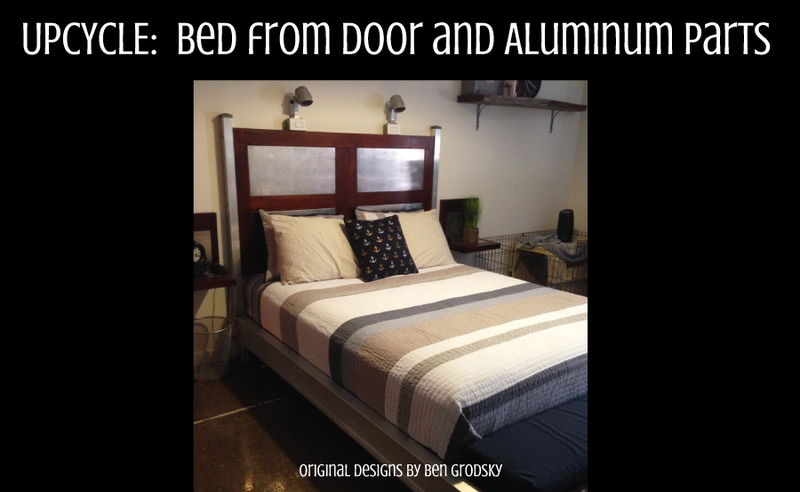 He is an Industrial Design student at ASU and has a love of invention and building things in the workshop. Fortunately his dad taught him a great deal over the years about woodworking. 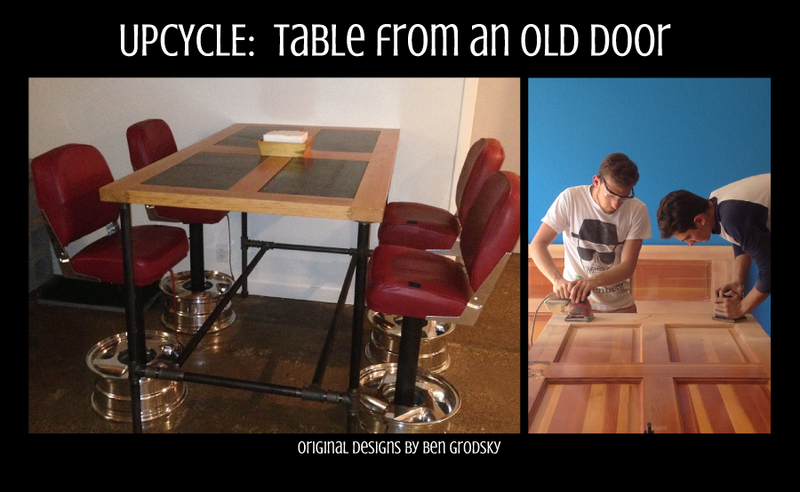 My son decided this summer that he was going to “make all the furniture for my new apartment at college”. 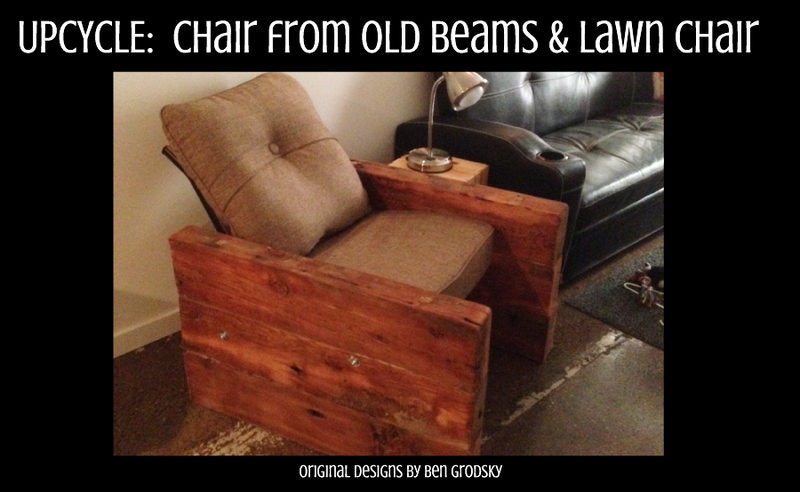 Given he qualifies as a starving college student, he set out to design and make furniture on the cheap. 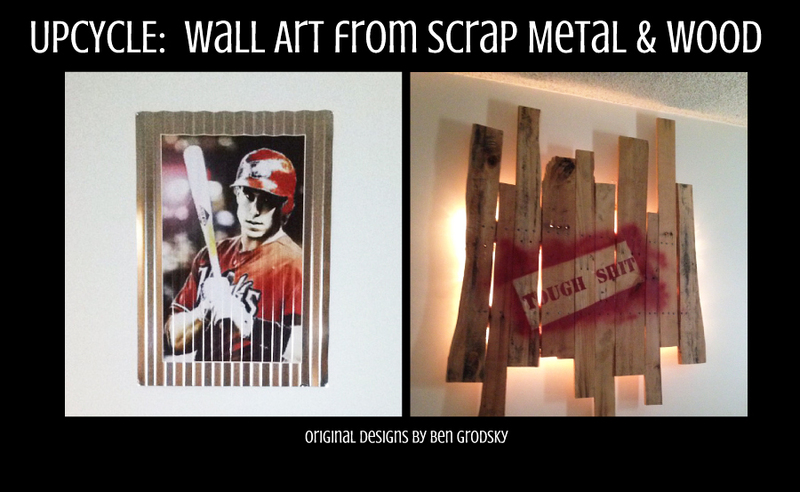 He did not know it at the time, but the type of work he was embarking on had a name – Upcycling. 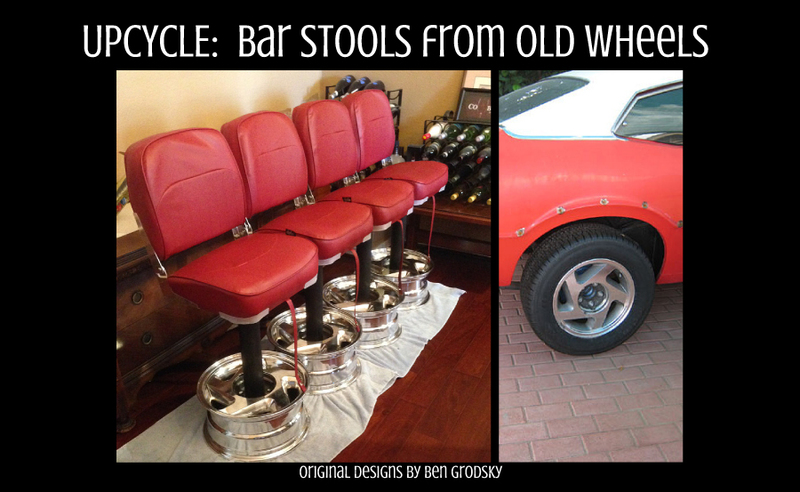 Or as I like to call it, Creative Reuse! 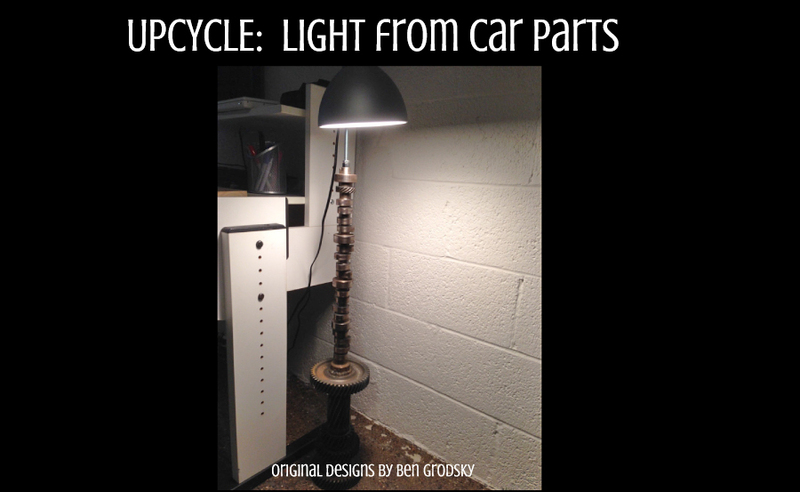 Upcycling, or Creative Reuse, is a great way to reuse materials and reduce our carbon footprint. Restaurant Bathroom Door found at a local second-hand furniture store. Aluminum Wheels from his old car. No takers on Craig’s list. These aluminum wheels were just too cool to take to the aluminum recycling center. Fishing Boat Seats (new) and very affordable. November 15th is America Recycles Day. It takes very little effort to do the right thing, so do your part… Reuse, Reduce, Recycle and Upcycle! 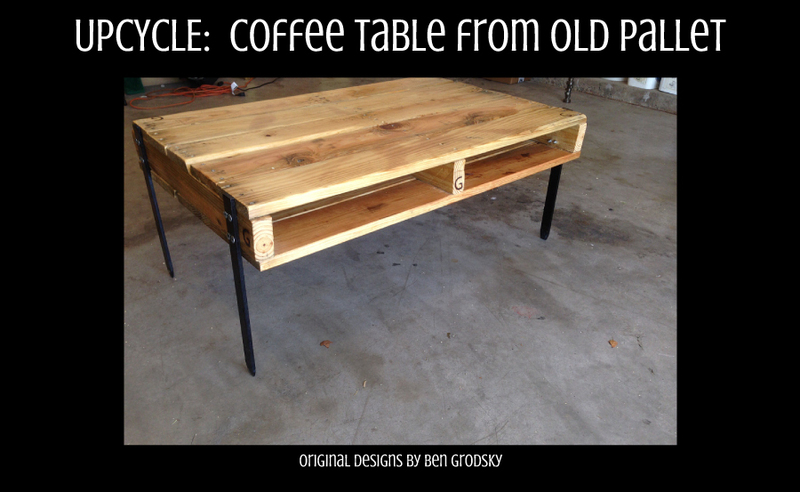 Do you have a great Upcycling project? Please share with our readers.